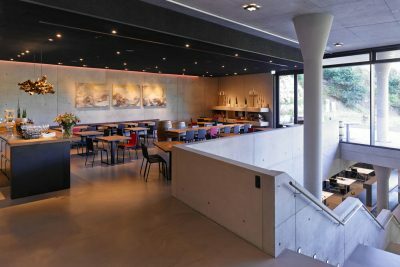 Design of the lighting for this major project only got underway after the initial building phase had already been completed, when most of the installation points for lights and wiring were already in place. 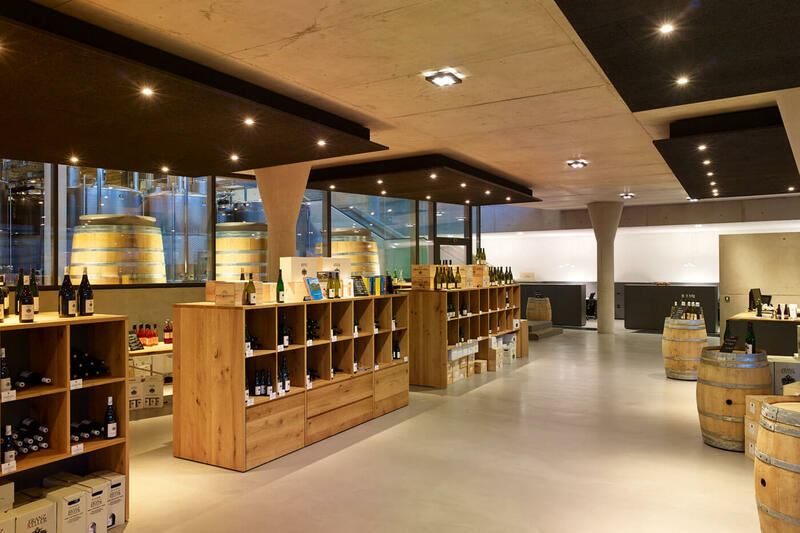 Wine growing and wine tasting, restaurant, events, sales and office spaces are spread over three floors. 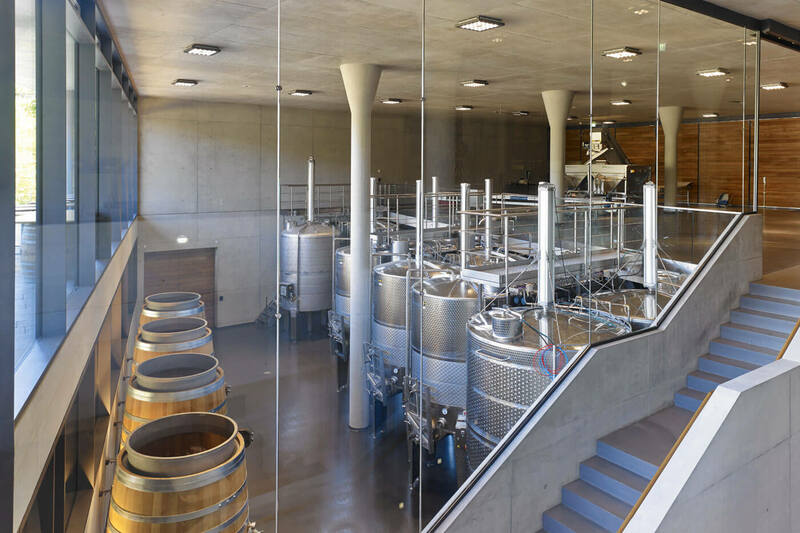 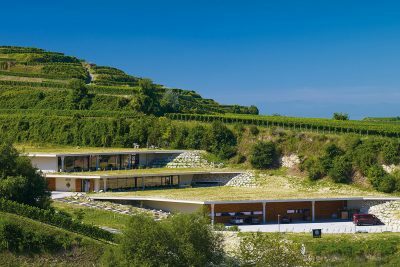 With its distinctive concrete and glass architecture, the new building for the Franz Keller vineyards blends in harmoniously with the terraced vineyards on the Kaiserstuhl. 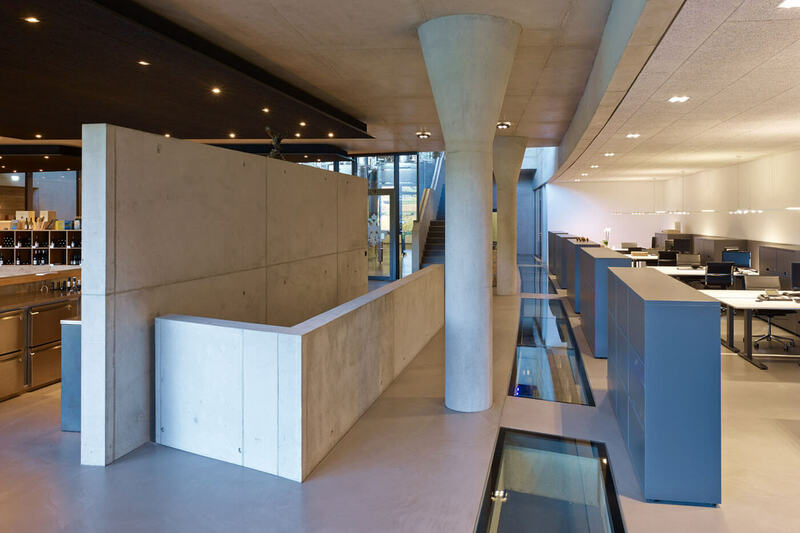 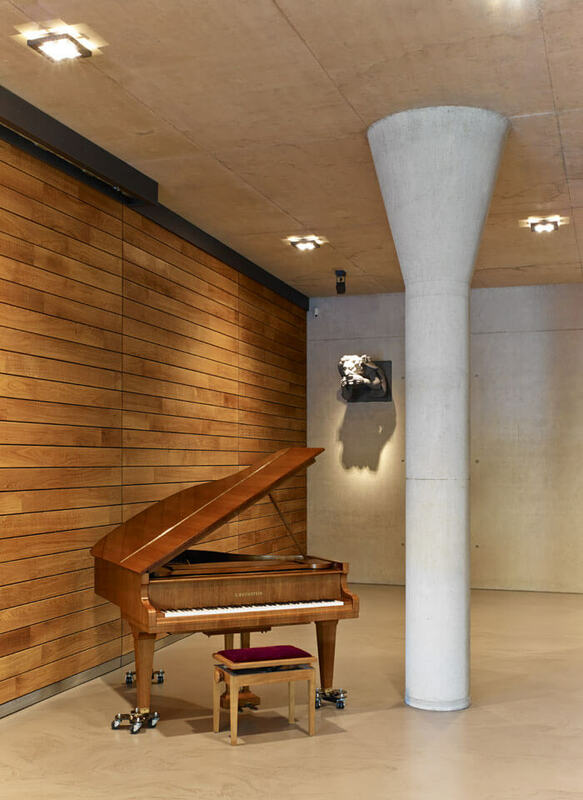 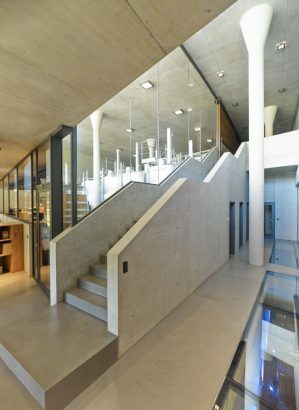 In this case, the lighting concept had to meet several conditions: adapt to the existing electrical connections, satisfy all lighting specifications and do justice to the high standards of design dictated by the structure of the building. 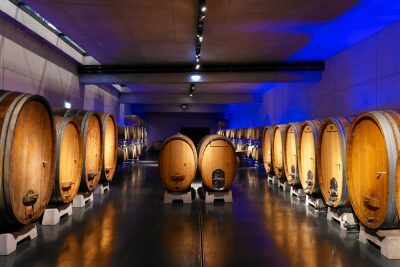 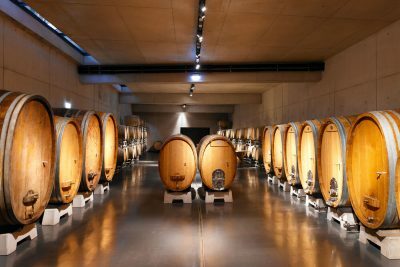 The room where the grapes are delivered is also available for events. 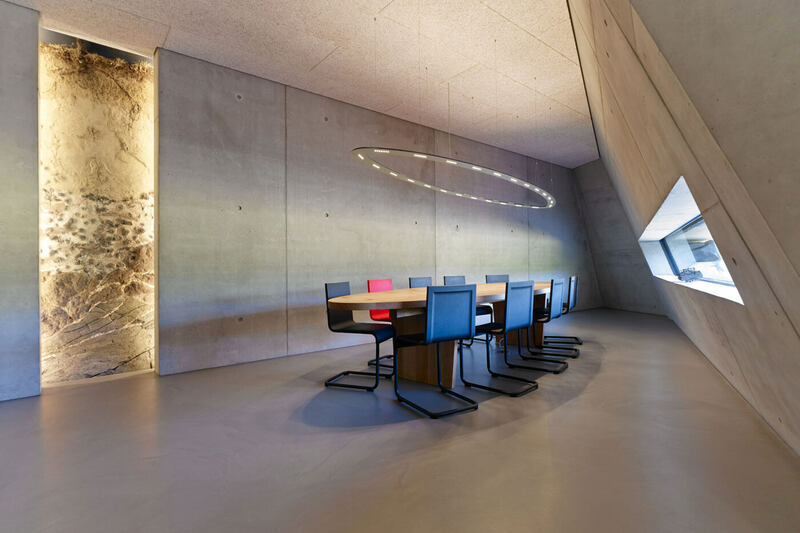 In order to achieve lighting that is both atmospheric and also meets DIN standards for task lighting, we developed a bespoke LED light that operates both with two beam angles and two colour temperatures. 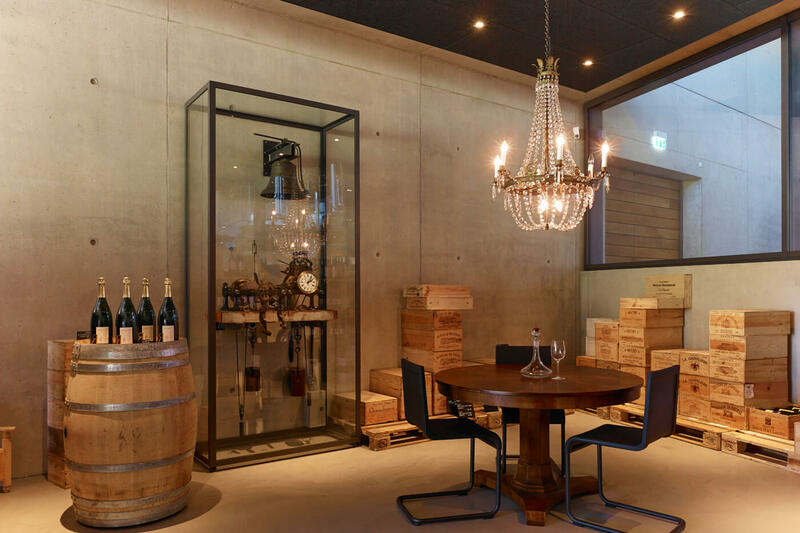 The droplet shape of the glasses continue the theme of wine with their shape. In addition, cornice lighting using RGB colour mixing projects different mood lighting onto the ceiling. 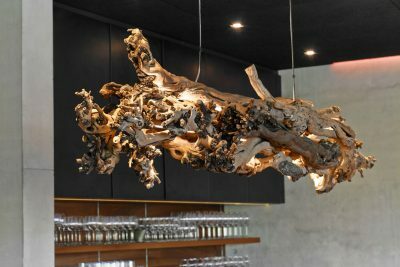 An additional cornice scatters amber-coloured light over the restaurant, providing a warm and intimate atmosphere. 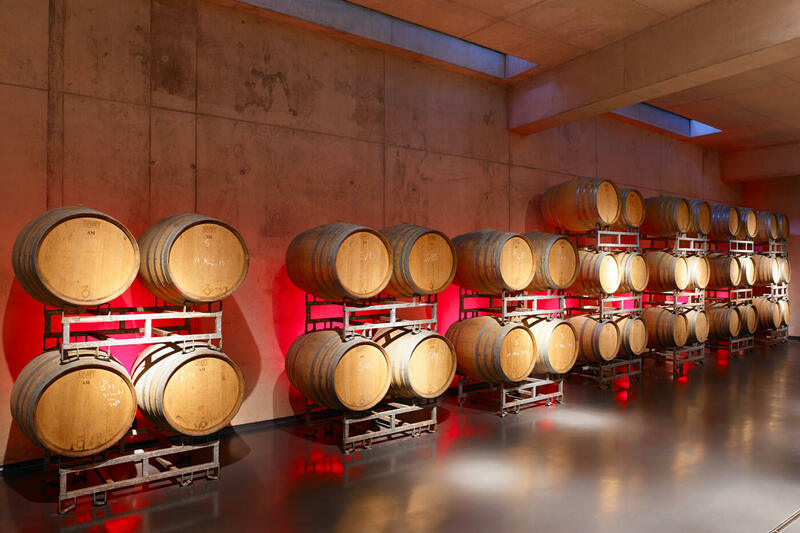 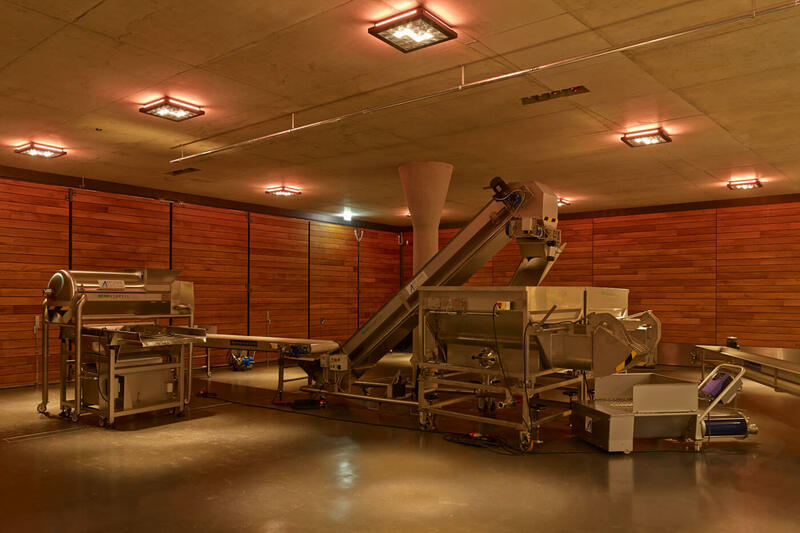 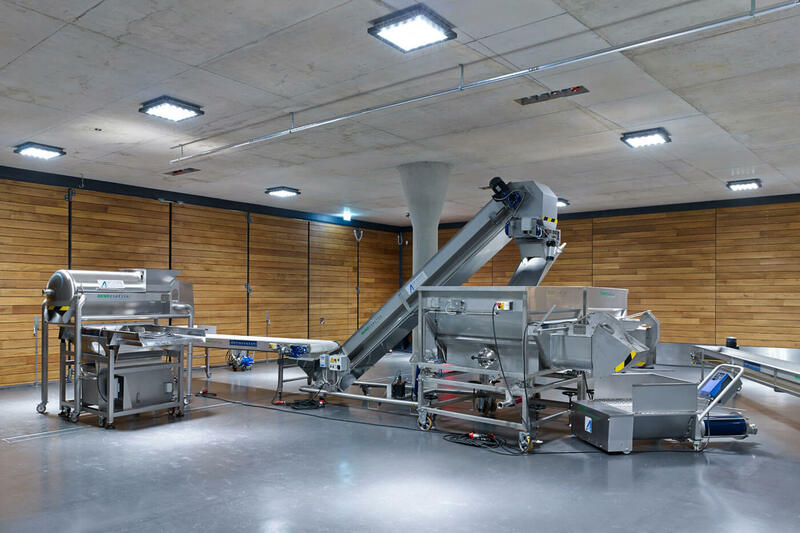 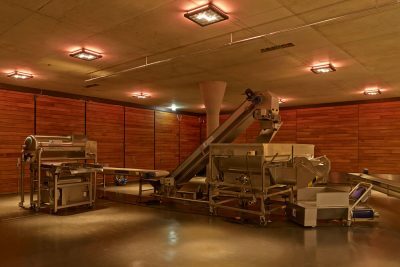 The lighting concept supports the open-plan layout and merges separate complexes such as the room for grape deliveries or the salesroom using visual effects. A glass strip in the floor that can be walked over gives a glimpse of the cellar below with the barriques and wood casks. All the wiring and data transmission lines run through a purpose-developed cable duct for the lighting. The housing for the lights is also a bespoke solution: it is made of special, acid-resistant stainless steel. 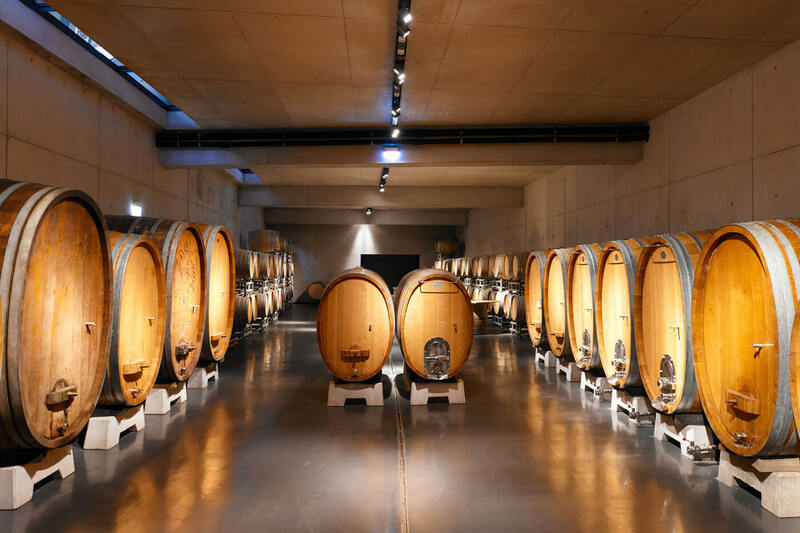 Bespoke lighting and light objects obviously relate to the wine-growing traditions of the family business and the landscape of the region. 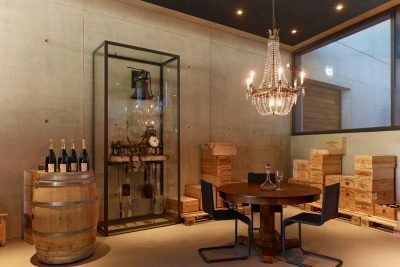 A chandelier with a canopy made of 50-year-old vines is suspended over the restaurant bar; in the tasting room a filigree pendant light decorates the oval table and reflects its shape and size. Lastly, an illuminated relief of the landscape illustrates the different layers of earth in the vineyard as a cross-section. The design was nominated for the German Lighting Design prize in 2014.